Following his loss to Travis Browne at “The Ultimate Fighter 11 Finale,” James McSweeney’s manager said he and his client would file an appeal claiming illegal elbows to the back of his head. They say time heals all wounds and it appears that McSweeney’s camp has had a change of heart. 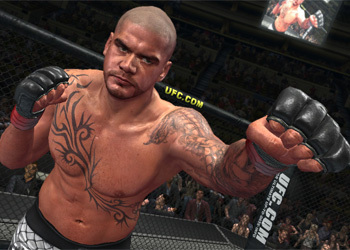 The English fighter will now be focusing on his next challenge, dropping down to the UFC’s light heavyweight division. McSweeney confirmed the news via his official Twitter account and also announced his participation at UFC 120 in October. “James mc sweeney is dropping down to light heavyweight, 205lbs to fight tom blackledge in london england october 16th at 02 arena!!! !” McSweeney Tweeted. To make the weight cut, McSweeney says that he’ll have to drop upwards of 35-pounds to be eligible to fight at 205-pounds, but is confident he’ll be able to get it done. “James and I have spoken at length on this issue, and (we) both agree that he needs to make a statement with his upcoming fight and show the world that he is a truly dominant fighter who can be a force at 205,” Lex McMahon, McSweeney’s manager, told MMAJunkie.com. With a 1-1 record inside the Octagon and a 4-5 professional record, an impressive performance may be required for McSweeney to stay in the UFC.